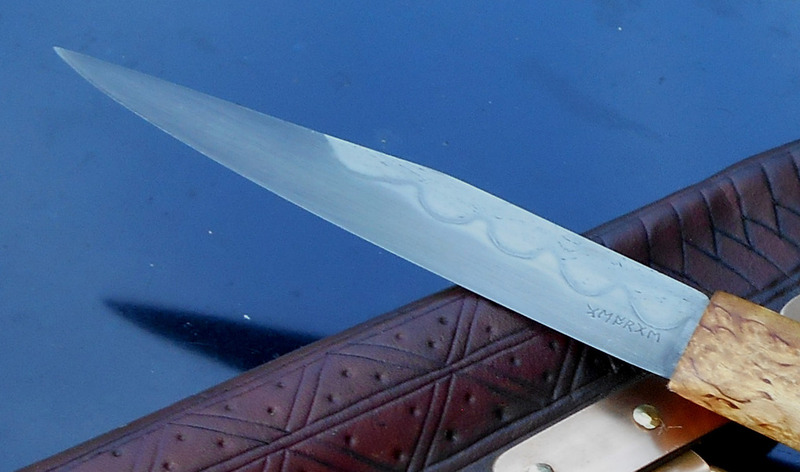 The blade is 4 3/8" long, composed of 1095 and wrought iron joined together in a wolfstooth weld. 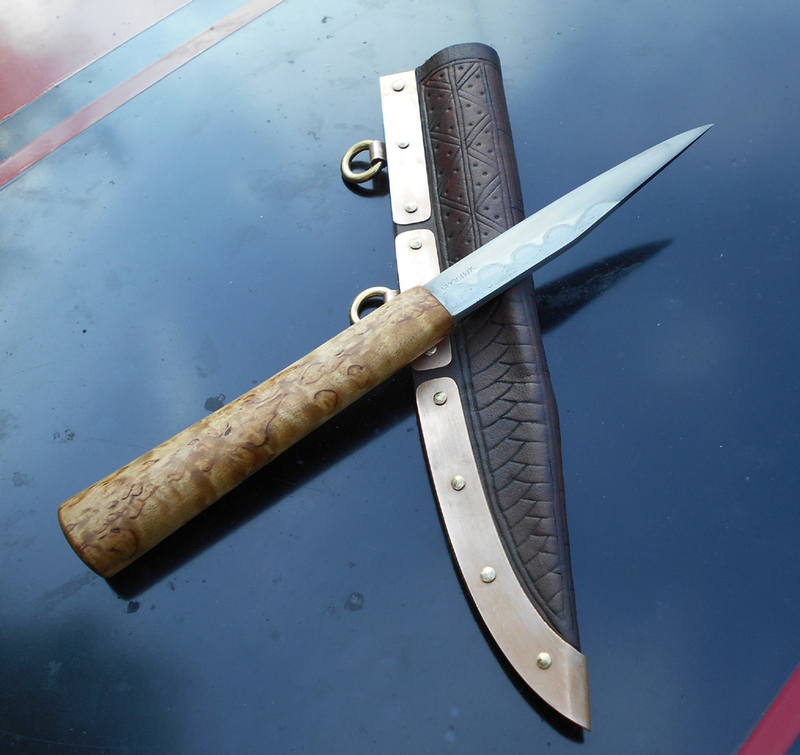 The handle is masur birch, and the overall length is a hair over 9 inches. 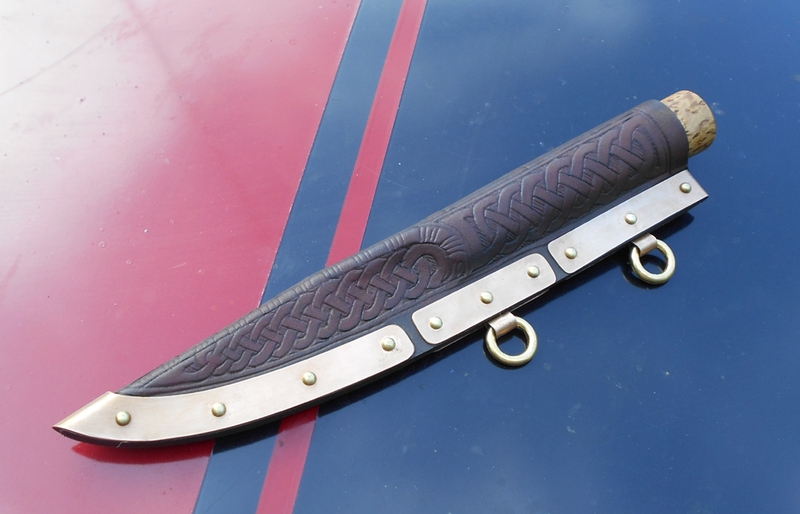 The sheath is made from leather, bronze, and brass. This one is for sale, if you are interested contact me. 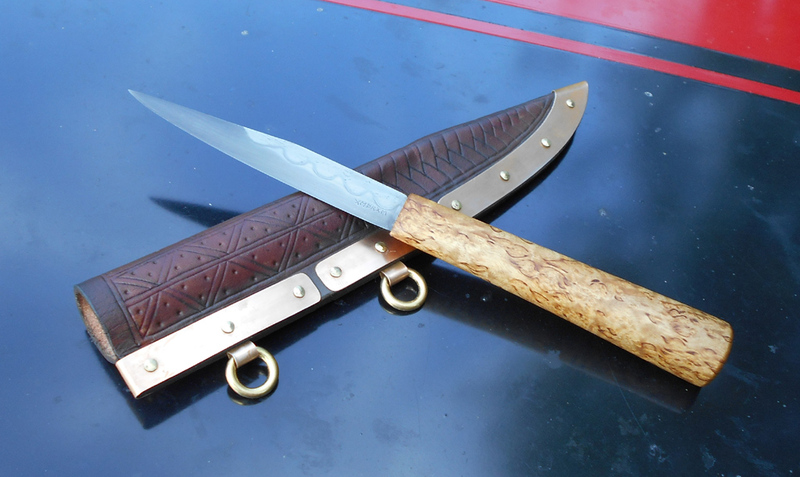 What do the runic letters on the blade read? It is my signature, my maker's mark if you will... it is my name in Anglo-Saxon runes. That's a beautiful blade! I love these "tooth" type seaxes. How thick is the spine? And what are we looking at here. . . . . looks like earlier 10th c. to me.